Easter is fast approaching and the lure of a lakeside lodge has never been more appealing. Relax, recharge and reinvent how holidays should be spent. Watch the sun rise and set over tranquil waters and take time to enjoy experiencing how it truly feels to escape. It’s not chocolate that you crave or the sweet seduction of sugar this time of year, it’s stopping what’s expected and being open to spontaneity. And staying with us guarantees exactly that. Cheltenham Festival: Hear the roars of an adrenalin-fuelled crowd as hooves pound the ground before you. You’ll soon understand why there’s no festival quite like Cheltenham. 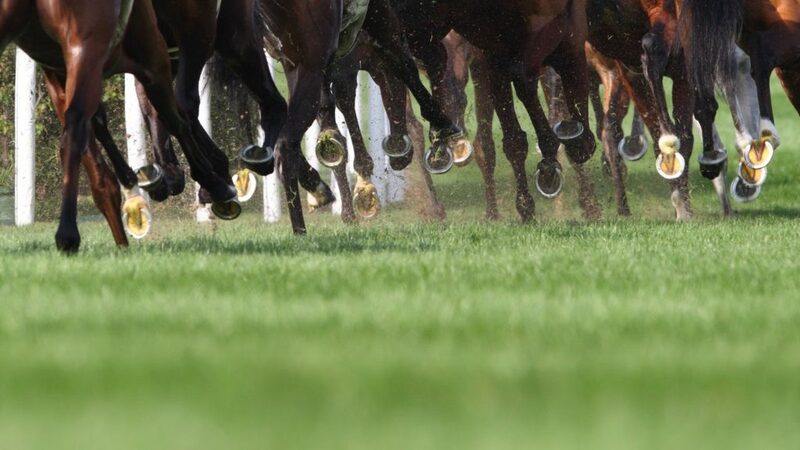 Feel the hairs rise on the back of your neck and your nerves tingle as the thundering thoroughbreds gallop to the finish line. 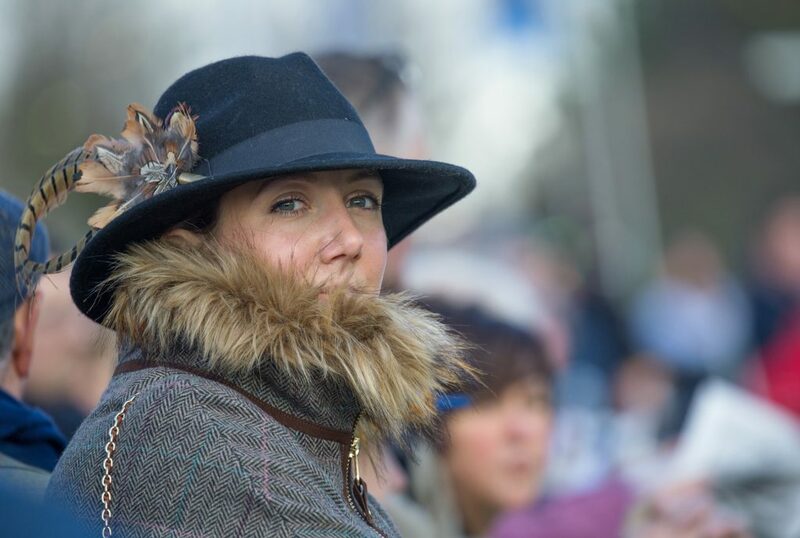 The pinnacle jump racing event of the year boasts four days of extraordinary racing from 12-15th March as well as live music, boutique shopping and an unrivalled atmosphere. Take advantage of some top racing tips before your flutter at the festival preview evening on Sunday March 10th from some of Cheltenham’s champions. Bringing a little friendly rivalry to the forefront Oli Bell and Nathan Murphy captain a panel of racing enthusiasts including trainer Paul Nicholls, Irish football legend Kevin Kilbane, Gold Cup-winning Jockey Richard Johnson, Niall Quinn and Kate Harrington for an evening promising banter in abundance. 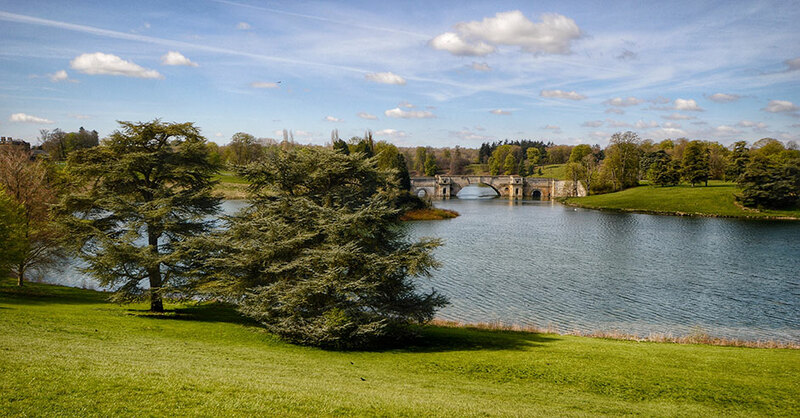 Easter Wonderland at Blenheim Palace: For an Easter egg hunt with a difference – try finding your bounty at Blenheim. A four-day celebration of family fun promises giant 8ft decorated eggs hidden amongst the Pleasure Gardens. 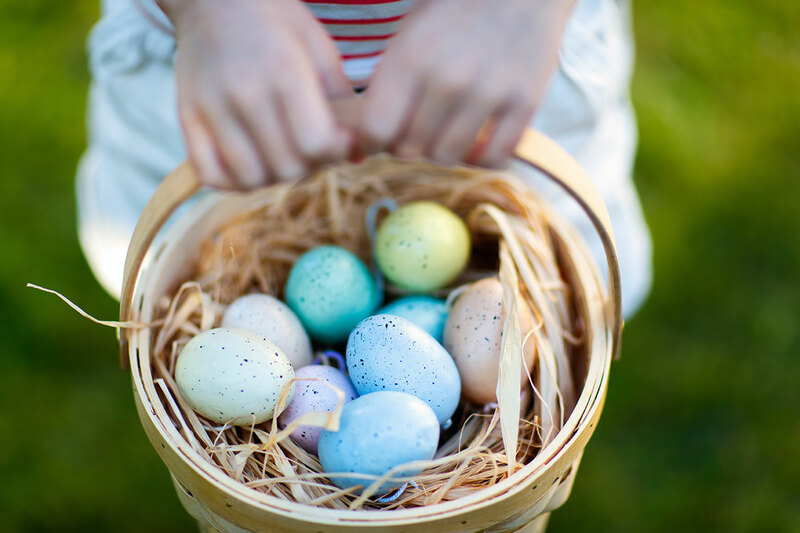 And that’s not all – find the special ‘Blenheim Egg’ and you could have a chance of winning an Easter surprise. Cheese Rolling: Ancient traditions arouse curiosity and this one is no exception. Believed to have originated as a way to distinguish grazing rights on common land, cheese rolling is now officially an extreme sport. Attracting competitors and spectators worldwide the atmosphere alone is something to be experienced. Cheese rolling at Cooper’s Hill in Brockworth takes place on May 27th 2019 and a new King of Cooper’s Hill will be crowned. Watch the stampede of runners chase a 9lb Double Gloucester cheese (travelling at 70mph) down the hill. The winner is the first runner to the bottom – the prize is the cheese and instant Cotswolds’ fame. Cheltenham Jazz Festival: From 1-6 May there’ll be jazz cats worldwide coming to the Cotswolds. Join them and jam while enjoying international jazz icons from Jamie Cullum to Charenee Wade. Boasting Gregory Porter as artistic curator this is a festival of high acclaim. 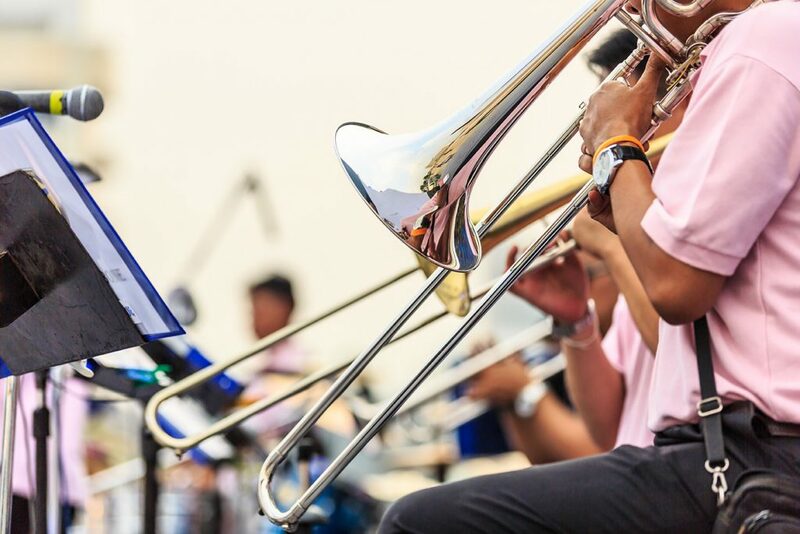 With free outdoor music in Cheltenham’s Montpellier Gardens, let the sweet sounds of the sax soothe your soul – surrounded by food, drink and the company you choose. Surfing on the Severn: Here’s a date the thrill-seekers amongst you will already have marked on your calendar. March 22nd 2019. The first of three five-star bores heading to the River Severn, promising a swell for surfers and spectators alike. With waves set to reach heights of 10m plus, this natural phenomenon always attracts a crowd. Now a world-famous event it sees surfers across the globe head inland and upstream for an alternative adrenalin-fuelled adventure. Whether you’re looking for family-fun, musical enlightenment, fast-paced adrenalin action or the safety of being a spectator, there’s something for everyone this Easter on our doorstep. And there’s your home from home waiting for you with us at Watermark. 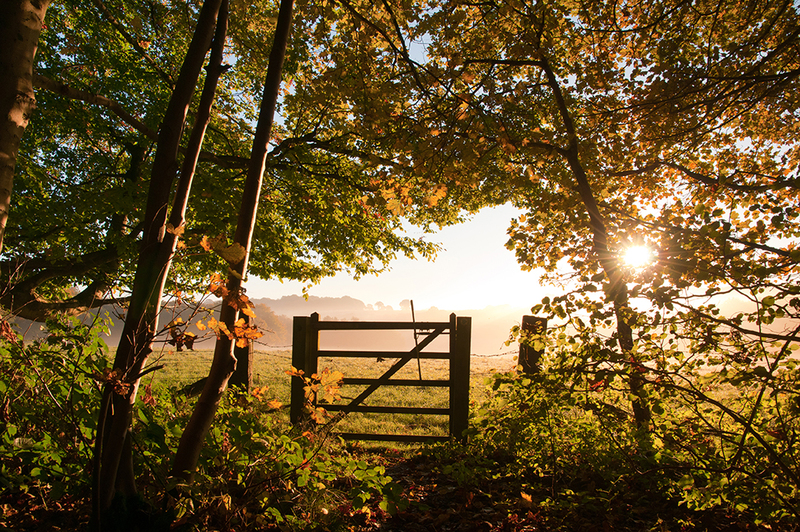 We’re the Cotswold’s best-kept secret…stay with us once and you’ll want to keep us that way. Welcome to the place where time stands still. With us. At Watermark. Planning your half-term holiday couldn’t be easier. Put your hand on your heart and you’ll hear the Cotswolds calling. It’s time to celebrate the start of Spring. It’s time to try new experiences. To take a break from the cold morning commute, stressful school run and from being who people expect you to be. Time to relax and unwind. Time to turn off your phone without asking permission. To disconnect* from the digital world and connect to those who are most important. Time to walk barefoot. To taste the frost on your face/lips. Time to dip your toes. To get muddy. Get wet. Feel wild and refreshed. Time to wander. Cycling: bring your bikes or hire ours. Whether you fancy a relaxing ride around the country lanes and lakes or an adrenalin-fuelled off-road adventure, you’ll be spoilt for choice from Salisbury to Cirencester. Horse riding: feel the air in your lungs on a crisp morning hack on horseback. From novice to experienced rider, the Cotswold countryside is yours to walk, trot or canter. Children’s activities: choose from our outdoors activity park with zipwire, swings and climbing frame or our children’s playroom with cushioned floor and soft mats for toddlers through to gymnasts. Not forgetting our games room for teenagers and big kids, complete with pool tables, consoles and cyber-escapism. Sports: From table tennis, boules and football to wakeboarding, fishing, sailing and golf – racket sports to water sports – there’s something for everyone, exclusively to our lodges, seasonally and all year round. Photography: capture the views, wildlife and water via your lens. 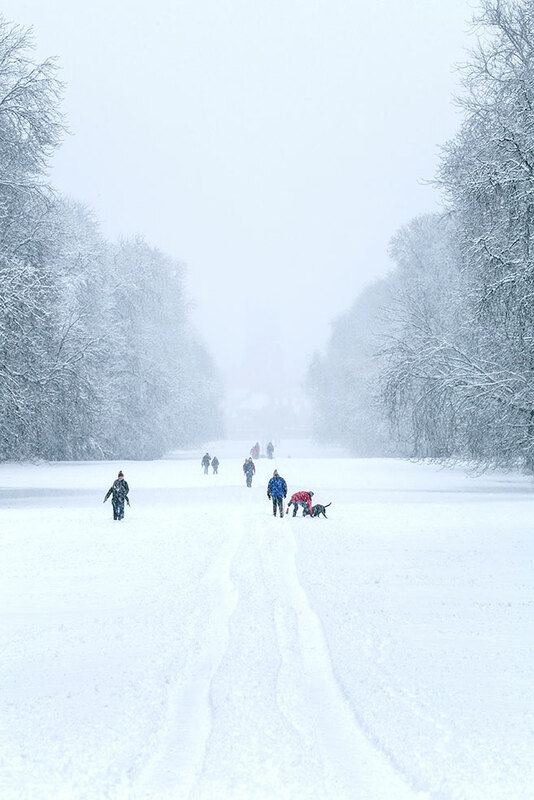 Or visit Wallsworth Hall and marvel at the ‘Nature in Art’ photography exhibition, from the world’s most prestigious wildlife photography competition from London’s Natural History Museum. Showcasing over 100 images of intimate animal portraits, atmospheric landscapes and revolutionary photojournalism. Lambing live: Take a walk in the fields and see the bouncing baby lambs or visit Cotswolds Farm Park for lambing live from 16-28th February. Try bottle-feeding the lambs and goat kids or let your own kids loose in the soft play. Climb aboard the tractor safari for a trip around the farm and meet a few familiar faces along the way. Pack your wellies: The South West puddle jumping championships takes place at Slimbridge on 18-24th February. Style your splash in the perfect puddle and practice lakeside in advance. Of course, this list doesn’t cover everything. Inspired by your surroundings, the artists amongst you may wish to write, draw or paint from the comfort of your lakeside living room. Or maybe you’d prefer to feed the ducks from your private jetty or relax in the hot tub with a glass of bubbly after bedtime. It’s your time and your choice. However you spend your stay, one week is never enough. You’ll want to return again and again. We recommend staying with us to experience every season…then pick your favourite month – starting with February. Half-term? Turn your question mark into Watermark. Picture a cosy lodge with a bubbling hot tub overlooking a frozen lake on a winter’s evening. Marshmallows fall like snowflakes into steaming mugs of hot chocolate before family members, young and old, race to pick their seat on the sofa ready to watch the Polar Express. Cushions tumbling. Laughter chortling. Now open the door and join them. Hunker down and spend quality time together this Christmas. With your loved ones. Away from the stresses of home. There’s room for all the family in our luxurious lodges. And plenty of space to still enjoy time to yourself away from the celebrations. With country walks, waterside views and Wi-Fi – there’s something for all the family. Wander through a winter wonderland at Blenheim Palace in a search for Cinderella. Promising to be bigger and better than ever, this year’s experience is truly magical. With hidden surprises both indoor and outdoor, the Palace State Rooms stage your own adventures as the estate’s evening illuminations ignite your imagination. From December until January 13th this dreamland is on your doorstep for the duration of your stay with us. Travel to the north pole by steam train with the Gloucestershire Warwickshire Steam Railway’s Santa Special. From Cheltenham Racecourse to Winchcombe this festive treat will guarantee a little magic. Sit back and enjoy a slower pace while elves entertain the children with colouring activities, jokes and surprises. Visit Santa’s grotto on arrival in Winchcombe and enjoy time with the man himself before enjoying a complimentary mince pie and hot or cold beverage in the platform café. Every child receives a quality present and experiences an adventure they’ll never forget. Seats sell out fast, with just four trains each day (Sat-Sun) so be sure to book your tickets in advance. From our quaint villages to bustling towns you’ll be spoilt for choice to grab your mulled wine and warm mince pie this year. Whether daytime or evening you can soak up the season with carol singers, street entertainers and an abundance of twinkling Christmas lights across a variety of Christmas markets. Broadway, Cheltenham and Cirencester and all promise traditional homemade gifts, delicious artisan food, unique arts and crafts, live music and fair rides from mid-November – 16 December. Experience hypnotising illuminations with vibrant colours and special effects against the back drop of Sudeley Castle’s glorious gardens. Savour festive food as you stroll around the grounds with mulled wine or hot chocolate warming your hands. Taking place in the evenings of December 8 – 9, December 12-23 and December 27-30, let Winchcombe’s finest bewitch you. Whether you’re planning a Christmas retreat, New Year reunion or winter hibernation, celebrate the season with us. Relax, refresh and recharge. Discover life undiluted and unadulterated. Discover Watermark. It’s that time of year again…you can feel it in the air. Adrenalin building as you hear the thundering charge of hooves pounding the ground, the smell of tweed and excitement on the autumn horizon. There’s only a few weeks to go until Cheltenham Racecourse hold their Showcase Meeting to start the season on 26th/27th October. With its backdrop of the rolling cotswold hills, Cheltenham is the theatre of dreams for many this time of year. Maybe not for the bookies but for the grooms, trainers, breeders, owners, jockeys and punters alike – the dream of a winner is constant. It steals their sleep and sharpens their focus for months leading up to October. And you can feel the tension building. The excitement and drama of the new season waiting to start. The National Hunt season will welcome the rising stars of Cheltenham as top trainers and owners showcase their new talent. Each year reputations are forged from the terraces to the paddock and are celebrated in the winning circle – and this year will be no exception. Since the first race meeting took place here in 1815, Cheltenham Racecourse has grown in popularity year on year. Boasting a £45 million redevelopment in 2015, the venue now welcomes over 700,000 visitors each year. Home of jump racing, and one of 14 prestigious courses owned by The Jockey Club, Cheltenham is famous for its Festival and The Gold Cup. Racing enthusiasts will already have 12-15 March 2019 highlighted on their calendars and accommodation booked before the madness of March approaches. The months ahead are the warm up and will entice you to visit again and again. The race to find accommodation in Cheltenham has started but that doesn’t mean you have to jump at the first overnight deal you find. Why not treat yourself to a little luxury, extend your stay and reside in style with us at Watermark. Wake up refreshed, relaxed and ready for the racing after a night in one of our lakeside lodges. Enjoy post-race dining and come down from your sporting high in the neighbouring spa. Relieve the stress from the tensions of the day and take in the beauty of the Cotswolds countryside from your sofa. Entertain your clients, colleagues and corporate guests dining at Chez Roux at the racecourse or for a more informal gathering, welcome them all to a lakeside BBQ back at your lodge. You’re welcome to stay with us for the season, not just for the first meeting. We’re at your disposal from October to April, including New Year’s Day, and beyond the racing calendar. Celebrate the start of the racing season, and your winnings, at Watermark. There’s so much to love about autumn. To us, it’s a season that should be celebrated. Bright blue skies and crisp mornings with the first frost crunching underfoot. A wintery chill in the air but with the lingering whisper of the summer’s kiss still teasing our days. With our favourite season we invite you to enjoy some of our favourite pastimes: sip hot chocolate from steaming mugs and welcome the darker nights curled up with those you love in your luxurious lakeside lodge. Leaf-kicking, conker-picking, forest exploring, marshmallow toasting, fresh-air inhaling, pumpkin carving days. Followed by firework watching, oohs and aahhs of an autumn sky, bonfire crackling, sparkler-writing names-in-lights nights. All wrapped with the hug of chunky scarves, oversized knits and the warm welcome from your home-from-home haven at Watermark. With its pink evening skies and golden leaves, autumn paints using every colour from nature’s palette and its Cotswold canvas is no exception. 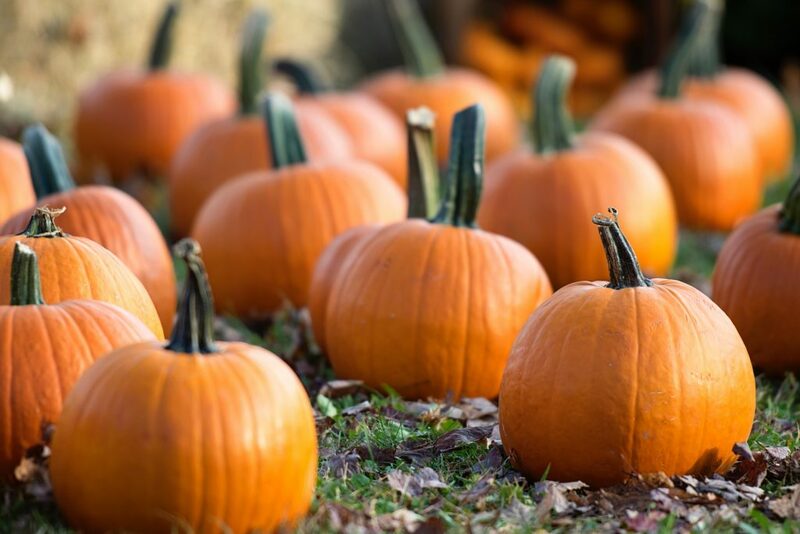 Slow down the pace and indulge in some quality time away from the hustle and bustle of your 9 to 5 in a paradise where pumpkin picking is as strenuous as it gets. Your intimate and romantic adventure with nature starts here. Experience the fall of Cotswold confetti and a carpet of colour. From deep yellows to burnt oranges, reds and crimsons, this spectacular show is not to be missed throughout autumn. With forest school, guided walks and photography workshops available there’s something for all the family at Batsford. 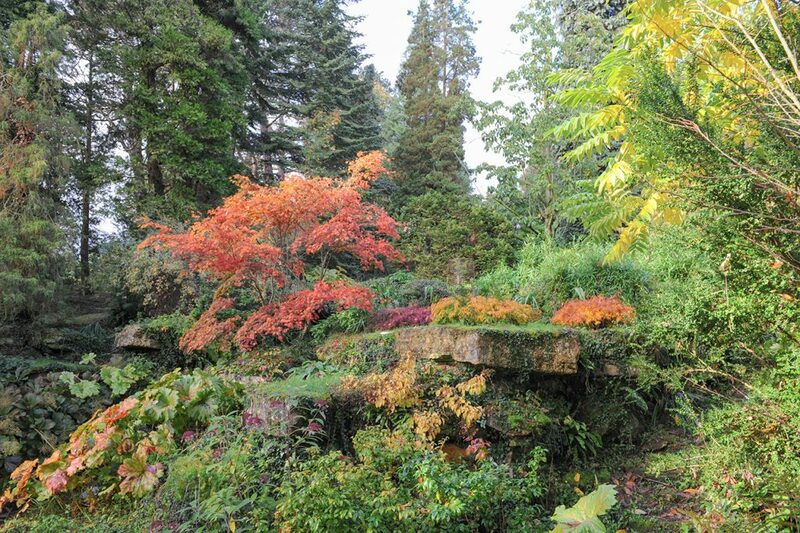 Closer in proximity to Watermark, is Westonbirt, The National Arboretum which is home to some of the world’s most beautiful, rare and extraordinary plants. Autumn is the perfect time to take to the spectacular Treetop Walk, amongst a canopy of red and orange leaves. From Halloween farm trails to pumpkin picking and Freaky Friday evening entertainment, you can choose between child’s play and tricks of terror this October 31st. Cotswold Farm Park tempts you with two ticketed events with Halloweenland turning from fun activities into a Fright Night experience for ages 12-adult. Berkeley Castle invites you on a wild walk in the grounds beneath the castle’s shadows to enjoy tasty treats around the fire. Toast marshmallows, get creative with Halloween crafts and be bewitched by spooky storytelling in the great hall. Think you’ve seen it all? Think again. Walk with the ghosts of Cirencester’s past and experience a tour of the town with a difference. Why not experience the changing colour of the season on your own two feet – with the walking festival running throughout October. From the lantern way and beyond, you can let nature guide your next steps. Tailor-made walks and organised tours are scheduled most days across the Cotswolds Area of Outstanding Natural Beauty. If ghouls and ghosts aren’t for you and you prefer to savour the scenery from the warmth of a window, why not take advantage of the Gateway on your doorstep? With breath-taking lakeside views, delicious homemade delicacies and a serene yet sociable atmosphere, relish the moment and a well-deserved rest in good company. Or simply enjoy your time at leisure in luxury with us. Imagine waking by the waterside. Watching the wind pulse along the lake casting ripples as you relax, dip your toes into clean, freshwater from your own private pontoon. Find the place you’ve dreamed about a thousand times. A place you can escape to time and time again. Unwind, retreat and recharge from the demands of a digital world, from the 9-5 and all the hours that no longer feel your own. Your home-from-home haven lies just 90 mins from London in the heart of the Cotswolds countryside. There’s something about the water that always calls us home. As humans we have an instinctive bond with water – for survival, for life and relaxation. And for wellbeing it’s a call we at Watermark can’t ignore. Water has a healing power – it offers us calmness amongst the chaos, eases the mind, comforts us and connects us culturally. And our Cotswold resort is a holiday haven like no other designed for your delight. Set in the heart of the countryside, in an area of outstanding natural beauty, surrounding 150 natural lakes lies a private gated community – of secret, serene seclusion. An award-winning development of stunning New England Style lakeside houses and luxurious lodges for sale and hire, from 3-6 bedrooms, with hot tubs bubbling on the decking awaiting your arrival. Fresh linen and laundry facilities come as standard in each unique lodge – beautifully furnished to complement their Cotswolds’ surroundings. Wi-Fi, private balconies, moorings and en-suite bathrooms provide everything you need for a leisurely stay. Whether you’re looking for a weekend escape, short self-catering break or a permanent holiday home, you’ll be spoilt for choice with the amenities at Watermark. Lose yourself in the landscape and take a leisurely lakeside stroll, take up tennis or enjoy a work out in our fully-equipped gyms. Or if the call of the water is just too strong to ignore – take a dip, get in, get wet and choose from a variety of water sports on your doorstep. For the thrill seekers there’s wakeboarding and water-skiing, for those that enjoy a slower pace sailing, windsurfing, canoeing and fishing (Coarse and Fly). And if the open water temperatures are too fresh for your visit, the neighbouring spa offers all the benefits of the water with the added luxury of a heated swimming pool, jacuzzi and sauna – letting you relax, refresh and recharge. If you’re craving fresh air in your lungs why not enjoy a few holes of Golf. 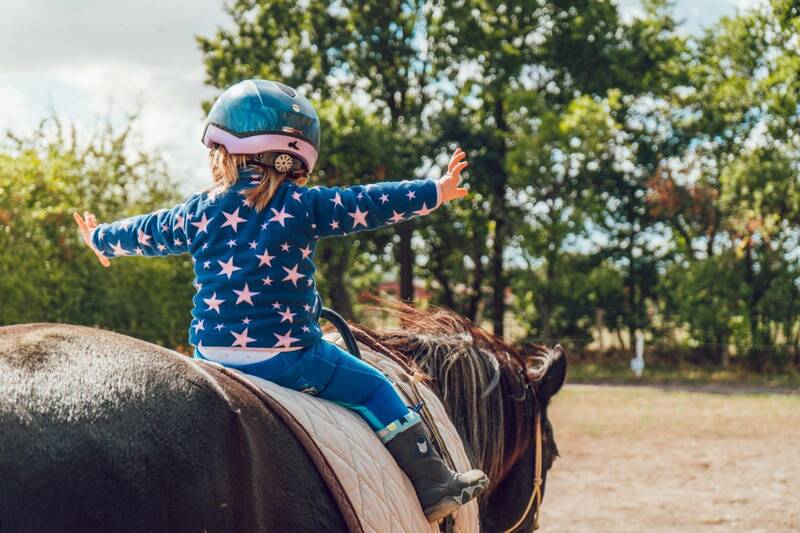 Hire a horse or road bike and explore the rich scenery from the saddle or sharpen your skills clay pigeon shooting and enjoy all the countryside has to offer. Not forgetting the Children’s Activity Park and zipwire for those with young adrenalin junkies ready to burn-off their energy in the open air. From breakfast to lunch and dinner you can dine with delight, and often live music, at the Lakeside Brasserie restaurant. Catering for all appetites and palates from fajitas to wood-fired pizzas, soak up your surroundings and enjoy fine company and cuisine without the stress of entertaining. Your stay at Watermark is a well-deserved pamper your future self will thank you for. An investment of time that will feed the soul. Picture perfect, your lakeside retreat will leave you longing to return time and again, with memories that will last a lifetime. As a whole, the Cotswolds are known for being one of the most stunning rural areas in the UK but we truly believe that if you want to know what picturesque landscapes really look like, you need to experience the Cotswold Water Park for yourself. A 40 square mile area within the Cotswolds which is located in Cheltenham in the south of England, the Cotswolds Water Park is a collection of 150 lakes, peppered amongst stretches of rural land and home to us, Watermark holiday park. The Cotswold Water Park is a truly unique destination, a one of a kind place to visit in the UK this article will tell you a little bit more about this simply stunning location. What is the Cotswold Water Park? The Water Park in the Cotswolds is made up of rural land and 150 lakes but it isn’t a closed off or privately owned park, it’s an area that people live within, run businesses in and more, so anyone is welcome to visit and explore free of charge. Alongside the natural wonders found within the Water Park, there’s also a country park and beach which are privately owned entrance charges but they’re well worth a visit if you’re nearby. One of the main attractions with the Cotswold Water Park is the ability to roam free and explore, making it perfect for all the family, even the dog! The Water Park has plenty of marked footpaths for walkers and cycle paths too, so however you want to find your way around, you’ll have no problem. Cotswolds Waterpark’s biggest draw is the beach and once you see it, you won’t be surprised. Located within the Cotswold Country Park, the inland bathing beach is designed for cooling off when the British sun is shining and is manned by lifeguards at peak times. Ideal for all ages, there’s sand and water to enjoy as you’d expect but there’s also plenty of activities and water sports and, as the beach is within the confines of the country club, you’ll also have plenty of access to delicious food and drink on site. No matter what kind of accommodation you’re looking for, there’s plenty to choose from. If you’re looking for Cotswold Water Park holiday homes, look no further than Watermark. We’re known for being the most luxurious accommodation option within the Water Park, offering short term holiday houses for quick visits or properties to buy if you can’t stand to stay away for too long. Who Looks After Cotswold Water Park? The Cotswold Water Park Trust are responsible for maintaining the beauty and safety of the Water Park all year round and we have to say, they do a wonderful job. From ensuring walkways and footpaths are maintained to keeping the land free from rubbish and blemishes, the Trust work tirelessly to protect locals, visitors and animals alike. 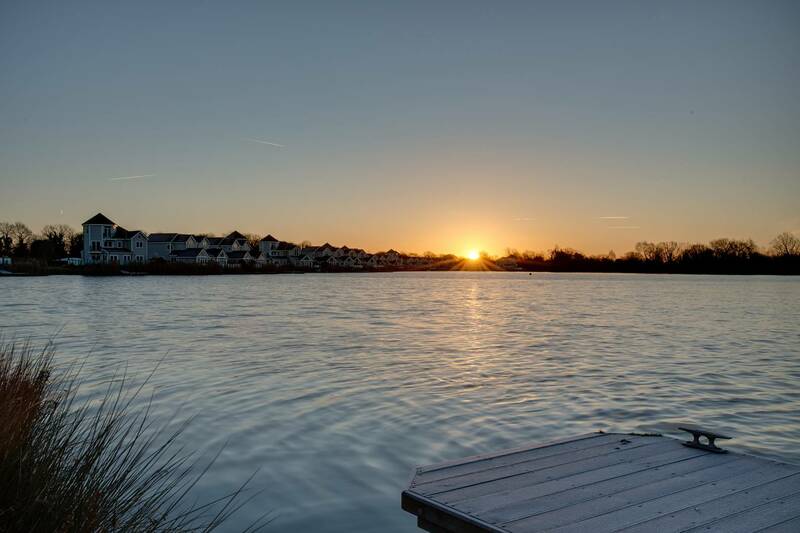 You won’t find an area quite like the Cotswold Water Park anywhere else in the UK and we couldn’t be prouder to be located within this truly unique location. So, if you want to experience the wonder for yourself, book a stay at the Watermark holiday park and venture out into the Water Park to witness the beauty for yourself. Fishing in the Cotswolds is big business. Whether you’re a local with the luxury on your doorstep or a fishing enthusiast willing to travel from afar to enjoy the wonders of Cotswold fishing, there’s plenty of places to fulfil your need to fish this county’s busy waters but none quite as luxurious as Watermark. A one of a kind holiday park that is home to luxury fishing lodges like no other, we offer you the opportunity to experience the ultimate fishing holiday in the Cotswolds without having to travel further than the backdoor of your lodge, a luxury no other fishing lodges in the UK can provide. 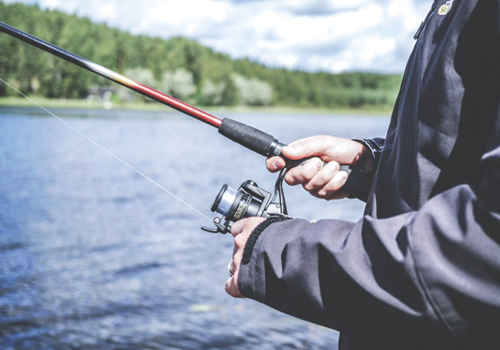 One of the things that puts people off fishing is that you have to leave all your luxuries at home and be prepared to ‘rough it’ but when you come for a fishing holiday in the Cotswolds at Watermark, you can have the best of both worlds. A number of our lodges back directly onto busy fishing lakes but thanks to the exclusivity of our park, you’ll be one of just a handful of fishermen that has access to these waters, giving you the best chance to get a good catch. Summer Lake, Windrush Lake, Spring Lake and more of our on-site locations have properties available for hire that directly back onto the lakes, meaning you can be surrounded by your home comforts whilst enjoying your favourite hobby. 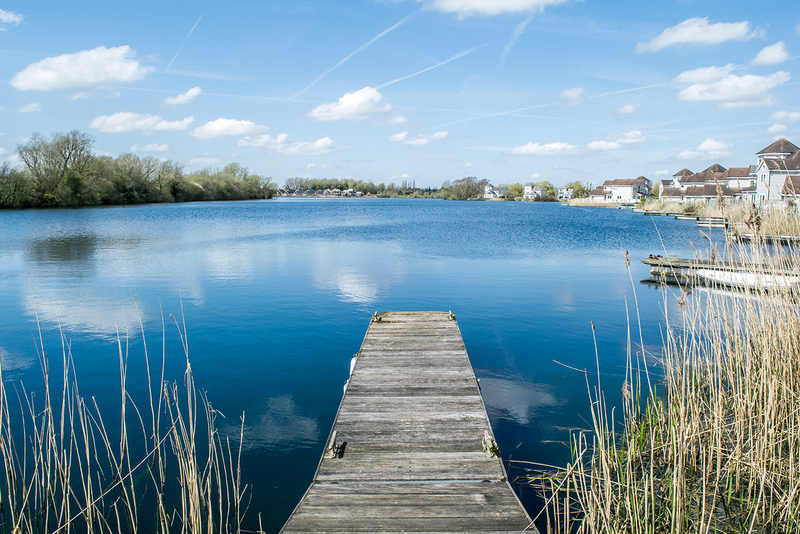 As we’ve mentioned briefly before, Cotswold fishing is a very popular pastime and this results in local lakes being swarmed with keen fishermen but when you plan a fishing holiday at Watermark, you get to enjoy beautiful Cotswold lakes all to yourself. Our lakes span hundreds of miles and thanks to the exclusivity of our park, you and your neighbours will be the only fishermen for miles to be testing these waters, giving you plenty of space to practice your line skills and win yourself some impressive catches. Although your main focus may be fishing, at Watermark Cotswolds you won’t just have incredible access to great waters but also the option to explore an array of other activities. It’s our restaurants and plethora of other activities that contribute towards making us the providers of the ultimate luxury carp fishing holidays in the UK. Top quality food, highly acclaimed beverages and an extensive range of things to do including water sports and tennis, there’s so much more that contributes towards making your fishing trip spectacular than just the waters. Fishing in the Cotswolds will forever be popular, so set yourself apart from the rest of the fishing enthusiasts enjoying our local waters and experience what a luxury fishing holiday feels like. Book one of the best fishing lodges in the UK by staying at Watermark, the ultimate place to enjoy fishing in the Cotswolds. © 2019 Watermark Cotswolds. Design by Standout.